Lord Bingham identified certainty, clarity and predictability as key constituents of the Rule of Law. His portrait gazes down in the Supreme Court. Certainty, clarity and predictability are not so warmly espoused by the current President, Baroness Hale. The recent case of Newcastle Upon Tyne NHS Foundation Trust v Sandi Haywood decided that notice of termination of her employment was not given when the letter of dismissal was delivered to her address, but only when it had actually been received by her and she either read or had reasonable opportunity of reading it. The five judges in the Supreme Court and the Court of Appeal, who were of the opinion that Sandi Haywood should get her pension, were Lady Hale, Lady Black, Lady Justice Arden, Mrs Justice Proudman and Lord Wilson. 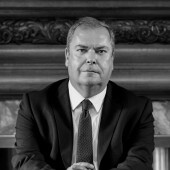 The powerful dissenting voices were Lord Justice Lewison in the Court of Appeal and in the Supreme Court, Lord Briggs, with whom Lord Lloyd-Jones agreed. Scott J in Stephenson v Orca accepted a submission that “the time of delivery in the ordinary course of post could not depend on whether or not the premises to which the letter was addressed were, when the postman arrived, occupied or empty”. So much for certainty, clarity and the Rule of Law.